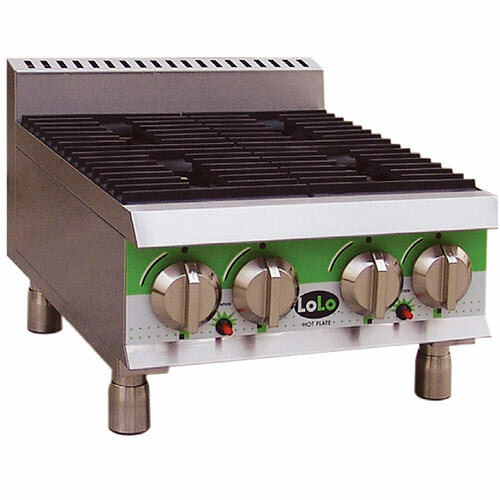 LoLo LHP424MPF – Gas Hot Plate – Four (4) Burners – 24″ Wide – A1 Restaurant Equipment Inc.
LoLo LHP424MPF is a countertop gas hot plate with four cast-iron burners and heavy-duty stainless steel body construction. Each burner will generate 25,000 BTUs per hour, for a total of 100,000 BTUs per hour. 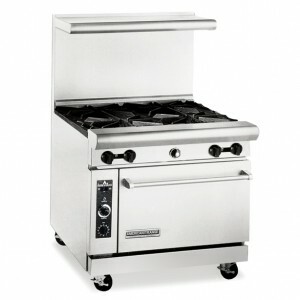 Each burner has close-spaced parallel grates for easy pot movement. 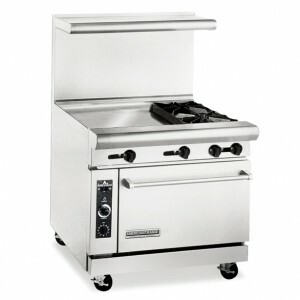 This countertop hot plate has a 4″ stainless steel flue riser located in the rear and comes with 4″ adjustable legs. LoLo LHP424MPF comes with a removable drip-crumb tray, making clean up a snap! No electrical connection will be required for the controls or ignition. 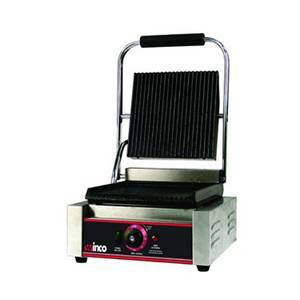 This countertop hot plate also has a dual ignition system that allows you to use a piezo igniter or a match to a standing pilot.